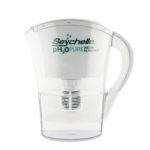 The Seychelle™ Radiological filter provides your family safe, high quality drinking water by filtering radiation, contaminants and heavy metals. Works with Clearly Filtered products too. 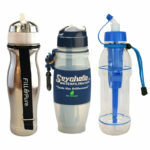 The Seychelle™ Radiological filter provides your family safe, high quality drinking water by filtering radiation, contaminants and heavy metals. Works with Clearly Filtered™ products, too. The Radiological filter removes the four basic zones of contamination: Aesthetic (Chlorine, taste and odor), Chemicals (from Industry and Agriculture), Dissolved Solids (heavy metals such as lead, mercury, Chromium 6) and up to 99.99% of Radiological Contaminants such as Gross Beta, Radon 222, Radium 226, Plutonium, Uranium, Cesium 134 and 137. 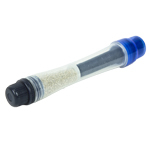 The Radiological filters are designed to be used on a chlorinated or disinfected water supply only and not intended to be used with water from private wells, rivers, lakes, streams or the ocean. Removes up to 90% of Fluoride. Produces up to 100 gallons of filtered water depending upon the quality of the source water. EXTREME Replacement Filter (Advanced and Radiological combined) is available here. 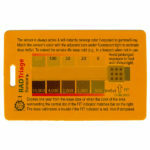 ADVANCED Replacement Filter (for everyday use) is available here. 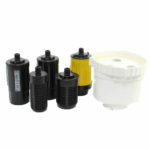 STANDARD Replacement Filter (for everyday use) is available here. 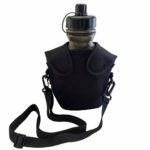 Be the first to review “Replacement RADIOLOGICAL Filter for canteen, pump and 28oz bottles” Click here to cancel reply.